I read a story the other day of a young woman who had entered into a debt repayment plan in June of last year with a credit agency. They told her they had submitted the first payment on one of her credit cards that month. She later pulled her credit report only to find that she had late payments listed on the card for July, August and September. The credit agency told her they had submitted the payments electronically. 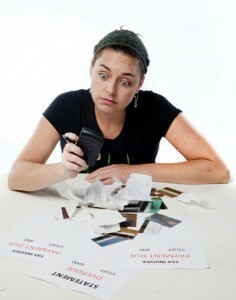 She was wondering what she could do to prove that the payments had been submitted and to dispute the late payment charges that had been noted on her credit report. I don’t know the name of the “credit agency” where she had the debt repayment plan, but this smacks of a scam. If the agency is legitimate and really did send the payments to her credit card provider, it should be able to prove that the payments were made. The agency should also be willing to contact whichever credit bureau showed the late payment charges and dispute them for her. If the agency were unwilling to do either, I would have to wonder how honest and trustworthy it is. I would be especially skeptical if she found the agency on the Internet (more about this later). Unfortunately, there are credit-counseling agencies especially those on the Internet that are totally unscrupulous. What happens in most cases may be what happened to this young woman. The way the scam artists usually work is they either say they’re loaning you the money to pay off your debts or will get a loan to pay them off. You’ll make payments to the credit agency for several months, only to discover that they’ve paid off none of your debt. You’ll be several hundreds of dollars out of pocket and owe just as much as you did before, plus lots of late charges. If you think you’ve been scammed by a credit agency that’s local, you may have some recourse. You could harass them for the money you paid them or even sue the agency. However if you made the mistake of working with a credit counseling agency you found on the Internet, you may be totally out of luck. Many of these are fly-by-night outfits that operate for several months, scam as much money as possible, shutdown and then reopen under a totally different name. Or they may be headquartered offshore, which would make your chances of ever recovering any of your money about zero. One very good option to using a credit agency is to choose a debt settlement company to negotiate and settle your debts. The way this works is that the debt settlement company contacts all of your creditors where you have unsecured debts and negotiates lump sum settlements that probably save you thousands of dollars. The company will then provide you with an affordable payment plan that should get you out of debt in 24 to 48 months. An ethical and trustworthy debt settlement company won’t charge you any fees up front. Instead of sending the money to your creditors you will pay it each month and it will deposit your money in an FDIC-insured trust account that only you can manage. Once all your creditors have agreed to the settlements they’ve been offered, your money will be used to pay for the settlements. You will pay nothing until all of your unsecured debts have been settled and you get a payment plan that you approve. If debt settlement seems like a good option, call our toll-free number today so that we can explain debt settlement in detail and how it could help you become debt free.